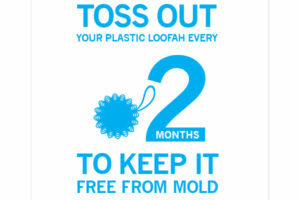 You may love your loofah, but don’t get too attached. You won’t want the things that can lurk in a loofah to linger. 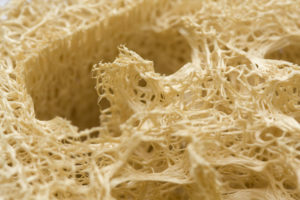 By their nature, loofah sponges have lots of nooks and crannies, and they’re very porous. 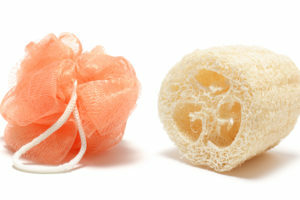 When people use a loofah to scrub off dead skin cells, those cells become lodged in the nooks and crannies. And that sets the stage for a bacterial breeding ground, says dermatologist Melissa Piliang, MD. Dry it daily. Rinse your loofah very well after use. Shake it out thoroughly and hang it “in a cool place — probably not in the shower — where it has the best chance of drying out,” she says. Avoid using it for a few days after you shave. Bacteria can enter your skin through any sort of nick or cut, so you shouldn’t use your loofah for a couple of days after shaving your legs, Dr. Piliang says. There’s no reason to use a loofah more than about twice a week, anyway, she says. Never use it on your face or in your genital area. Those parts of the body are sensitive to infection. “You wouldn’t want to scrub them, anyway,” she says. Clean it weekly. 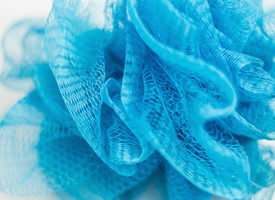 “No matter which loofah you are using, you should clean it at least once a week,” she says. To do so, soak it in a diluted bleach solution for 5 minutes and then rinse thoroughly. You may also want to consider washcloths as a good alternative to loofahs. They don’t present the same degree of problems. Their physical structure makes them less susceptible to anything lodging in them — and also makes them easier to clean and dry, Dr. Piliang says. Plus, people tend to wash them in the laundry and replace them more often. Can Ultraviolet Nail Salon Lamps Give You Skin Cancer?